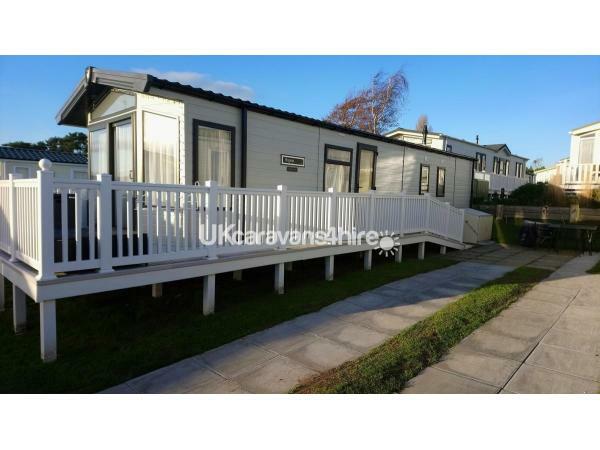 Additional Info: Located at this 5* holiday park, Rockley Park, Poole, Dorset, this Platinum rated holiday home by Haven Holidays is in a great location with seaviews on a corner plot with ramp and balcony. Please note that this holiday home is Not available for a Saturday or Sunday rental. 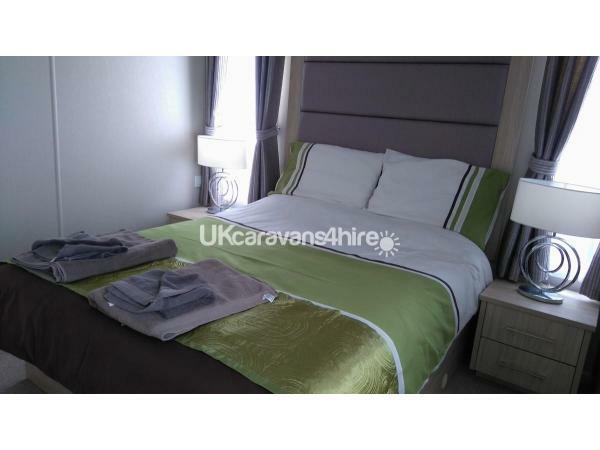 3 nights Friday to Monday and 4 nights Monday to Friday. 7 nights Friday or Monday only. 10 night Friday to Monday. 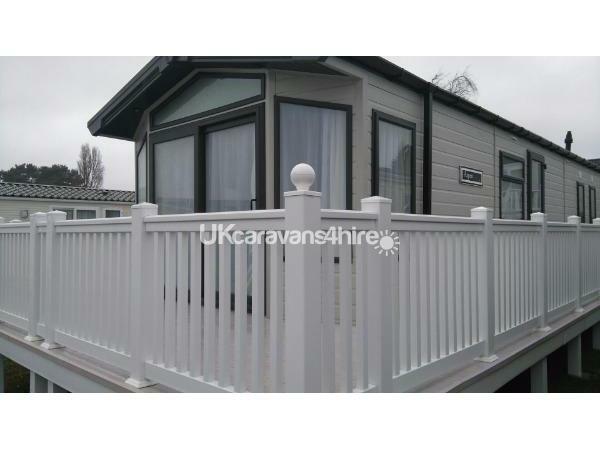 2017 a beautiful Willerby, Aspen 2 bedroom Lodge - 40 foot long and 13 feet wide, it is an exceptionally presented holiday home with seaviews from this corner plot. 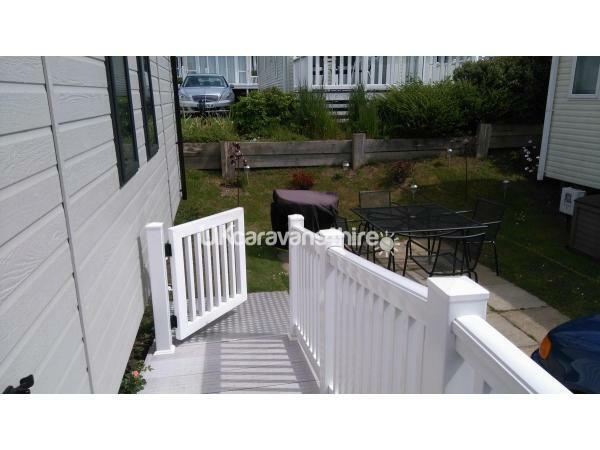 South facing gives a great opportunity to sit on the extended balcony to enjoy the views on patio furniture. This also gives access to wheelchair uses via the ramp and a small step into the holiday home. 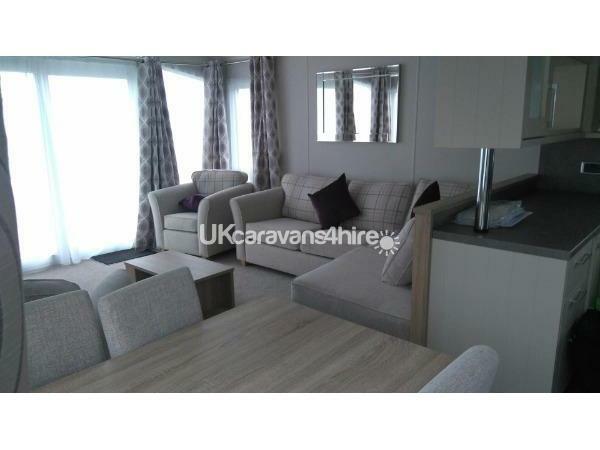 This Aspen Lodge is comprehensively equipped bringing together contemporary looks and inspired design, quality construction and superior specification. Central heating throughout with double glazing. 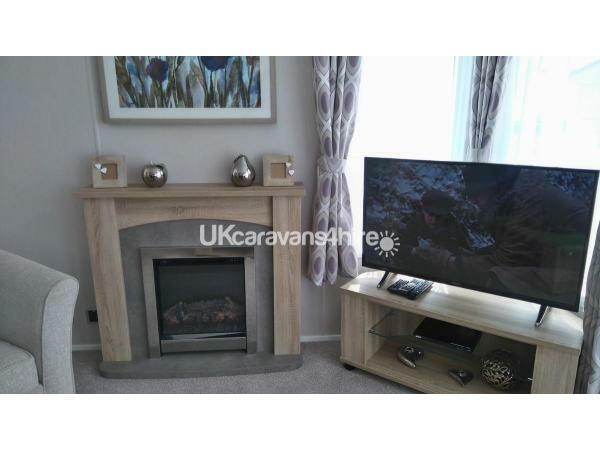 Freestanding L-shaped sofa with fold-out occasional sofa bed, two armchairs (one swivel) and scatter cushions, Flame effect electric fire with feature fireplace, Wall-mounted mirror and wall art, 43 inch TV and separate DVD, Coffee table. 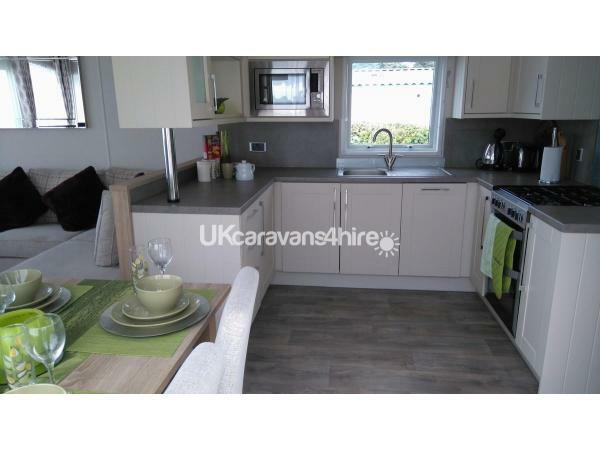 Fully equipped kitchen with integrated washing machine and dishwasher, 70/30 fridge-freezer, Integrated microwave, Double cavity gas oven/grill with glass splash-back, Externally-vented stainless steel and glass extractor fan, laminate style vinyl flooring. 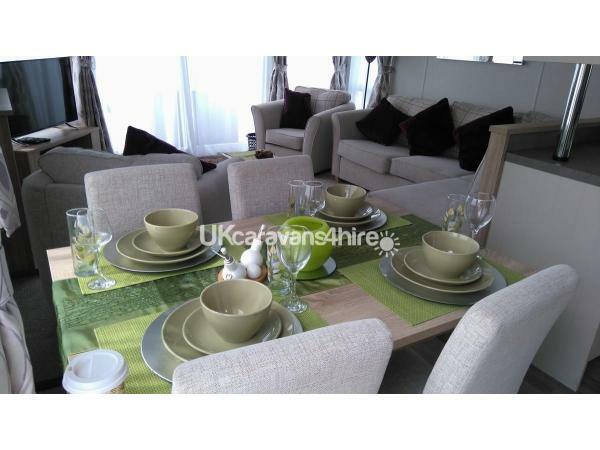 Large freestanding dining table and fully upholstered chairs Master bedroom with en-suite, Kingsize bed with lift up storage system, Bedside cabinets and additional overhead storage, Dressing area and stool, Mirrored wardrobe and wall mounted 42 inch TV with intergrated DVD player. 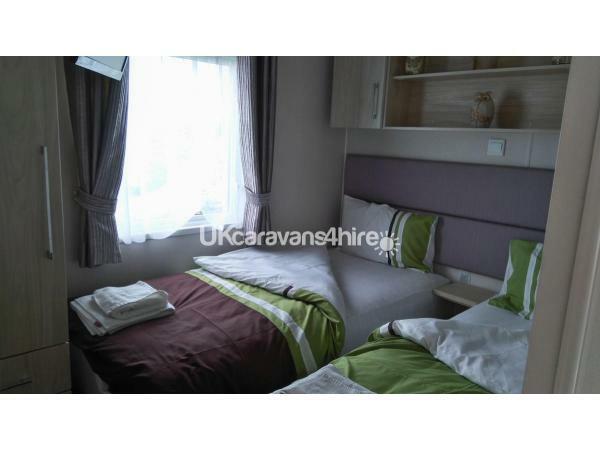 2nd bedroom with single twin beds, wall mounted 19 inch TV with integrated DVD. Integrated MP3 player sound system. 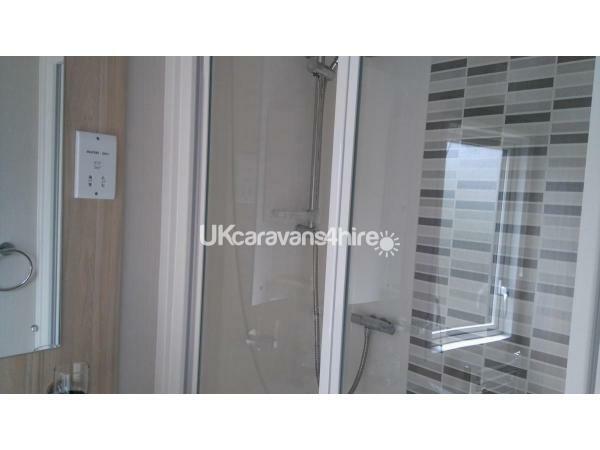 All to Residential Specification* (BS 3632). We provide a complimentary welcome basket for every stay and useful leaflets and information about the local area - be it an open top bus ride around the Jurassic coastline, or a boat ride around Poole Quay and all the different "Vistas". 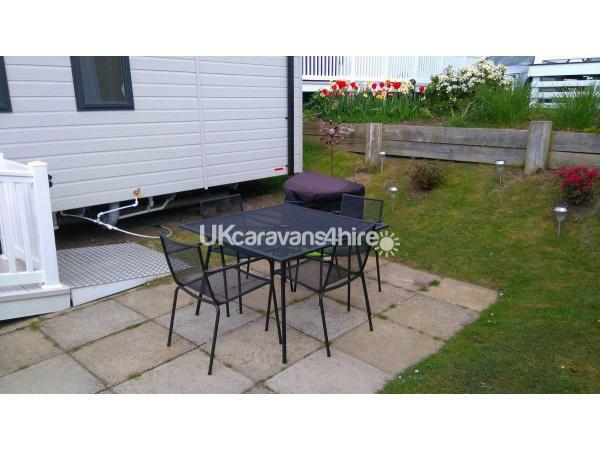 Enough space for your car parked along side the caravan. There is a BBQ for you to enjoy, we also have beautiful rattan furniture to sit and relax on the balcony. 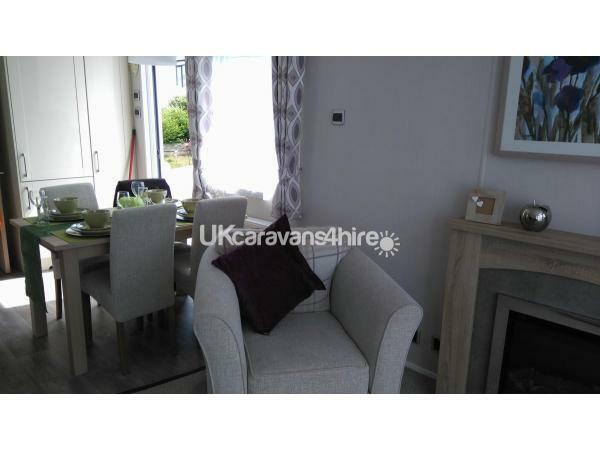 This is a top of the range holiday home with many extras. Arrival is at 2.00pm and departure at 10.00am. FunWork passes are purchased direct with Rockley Park - giving access to the pools, bars, and entertainment areas within the park. This is a 5* holiday park that offers fun for all ages. We look forward to hearing from you, we are sure that you will have an "Incredible Holiday" experience.